Invite a new generation to interact and engage with your brand. 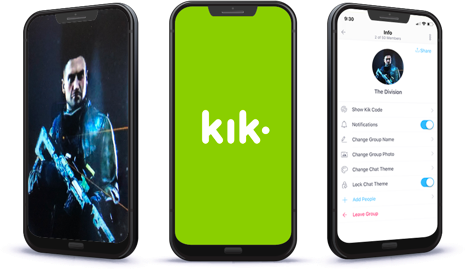 Kik is a messaging app popular with Gen Z. Kik for business is the latest way companies are reaching this next generation of consumers. 70% of Kik users are between the ages of 13-24 and have grown up connected to the internet and social media. Kik Chat for business means that Kik users won’t have to leave their preferred channel to discover your brand. Messaging on Kik opens up new opportunities for deeper connections with younger customers. Quiq makes customer messaging for Kik as intuitive for your employees as it is for your customers. 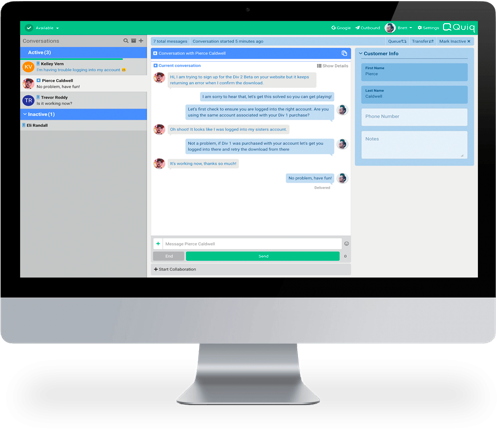 Employees will easily manage conversations in Quiq’s thoughtfully designed UI that handles all messaging channels seamlessly. Bots can be used to automate customer interactions or employees can provide real-time support.